The Keyboard-Less Blackberry Motion Arrives - Price, Specifications, India Launch and More! The new BlackBerry Motion is effectively the last Blackberry KeyOne just without the keyboard and some minor changes. The software is still similar with some changes on the out. The device was showcased at the GITEX Tech Week in Dubai. BlackBerry after a long period of distress has finally ditched their signature keyboard with Blackberry Motion. BlackBerry is now into making phones in a partnership with Chinese firm TCL, which a few months back released the BlackBerry KeyOne. Now the company has launched a new complete-touch smartphone with no KEYBOARD! It carries almost the same set of specs as Blackberry KeyOne, but the Blackberry Motion is IP67 water resistant and packs a whopping 4000mAh battery. The new Blackberry Motion has a very similar built on the out like the Blackberry KeyOne, but without a keyboard. 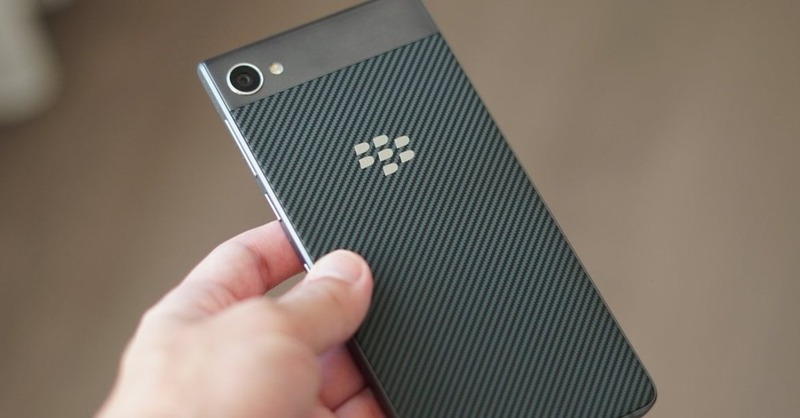 With a unibody design, the phone has a fingerprint scanner on the front and the BB logo at the back. The BlackBerry Motion will come with a 5.5 inch Full HD IPS LCD display on front with a resolution of 1920×1080 pixels and a pixel density of 403 ppi. The display has a DragonTrail Glass protection on top, to keep it safe from the scratches. The device will pack in an octa core Qualcomm Snapdragon 625 processor clocking at 2.00GHz, clubbed with 4GB of RAM. It is supported by Adreno 506 GPU. Blackberry Motion will run Android 7.1.1 Nougat out of the box. No news about the Android Oreo 8.0 update. The handset will only come with 32GB of onboard storage, which can be further expanded up to 2TB with the help of an external memory card. The Blackberry Motion will come with a 12 megapixel rear shooter with an f/2.0 aperture, coupled with a dual tone LED flash. It can shoot videos in 4K at 30fps. Up front, there is an 8 megapixel front shooter equipped with a selfie flash. The BlackBerry Motion will support two sims and has all the required sensors on board. It comes with a USB Type C port with 3.5mm headphone jack at the bottom. The handset houses a whooping 4000 mAh non-removable battery with Quick Charge 3.0 support. Apart from a list of specs, the new BlackBerry Motion also includes some interesting features to improve the overall user experience. One can use the Smart Convenience Key to bring up the apps and functions instantly which you use more often, based on your location. Like in the car you can customize the key to launch your the music app, at home to launch the camera, at work to launch the email app. One can use the Locker Mode to keep the photos and other files safe. The private pictures or confidential documents with the help of the fingerprint sensor can be password-protected, and these files will not uploaded to the cloud. This will be very useful for professional people to keep their work safe and secure. There is DTEK enabled security suite feature on the Blackberry Motion, which will support the FIPS 140-2 Full Disk Encryption, Android For Work and Google Play for Work features. The new Blackberry Motion is IP67 certified, so it’s water resistant. It can survive all accidental spills and can stay in the water for a bit of time with no harm or damage to the handset. The Blackberry Motion has been priced at $460 (around Rs. 30,000) and is now available in some Middle Eastern markets (including Saudi Arabia and the UAE). The phone might make it to the Indian market by the end of this year, though there has been no official mention. 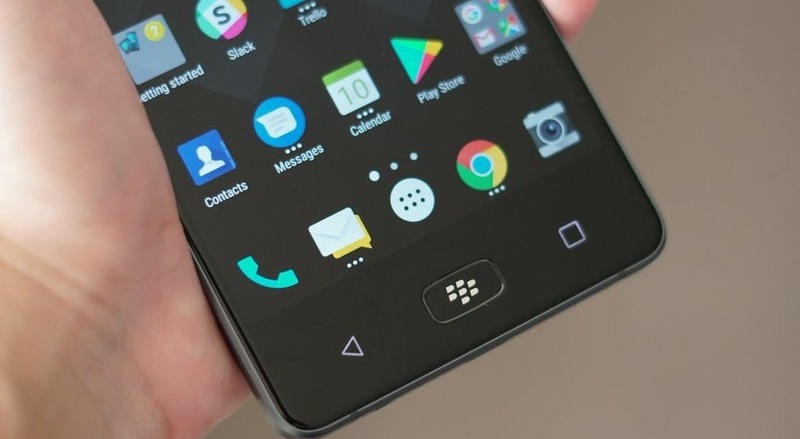 The Blackberry Motion has focused mainly on security and intends to make the handset a ‘business and privacy’ friendly smartphone. But there are other touch-only phones at this range (say, OnePlus 5 or Honor 8 Pro or Nokia 8) which offer faster performance and a better set of specs. "The Keyboard-Less Blackberry Motion Arrives - Price, Specifications, India Launch and More! ", 5 out of 5 based on 6 ratings. Digital Economy Insights – It Is Taking More Time To Deliver Orders; Foodies Are Ordering Less Online!